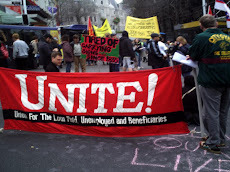 Unite Waitemata Community Branch : Protest Bennett's Work Cure, 5.45 Thursday 15th August 429 Great North Rd Henderson. 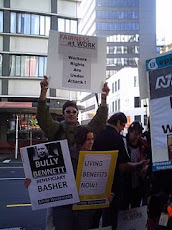 Protest Bennett's Work Cure, 5.45 Thursday 15th August 429 Great North Rd Henderson. Beware! This Model Could Harm Your Health! 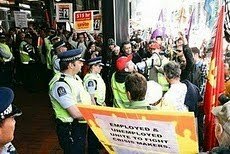 “Paula Bennett and Work and Income are touting the new mantra :“work is good for you” , says Janet Robin, President of Unite Waitemata, which is a branch of the Unite Union. “Dr Bratt, WINZ Principle Health Advisor is training WINZ designated doctors to believe that being on a benefit is an addiction, and the best cure is work. “ Family doctors are also being pressured to take this approach when they do the beneficiaries’ “work capacity assessments “. The UK model was brought to New Zealand by Prof Mansel Aylward. Prof Aylward has spoken to Paula Bennett, and is an advisor to the Counties Manakau District Health Board. He has influenced Dr Bratt, WINZ’s Principal Health Advisor. “Medical practitioners, health centres, and designated doctors should beware of this approach, which seriously compromises their medical ethics. They cannot put the patient’s health first, and at the same time be pushing their client into any kind of work, no matter how unsuitable.” said Ms Robin. 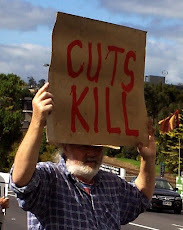 Prof Mansel Aylward’s approach is a corrupt version of the “Bio Psycho Social “ approach. UK academics, Mansel Aylward and Gordon Waddell , were paid by the convicted fraudulent US insurance company Unum, to create this approach. Unum wanted UK people to be afraid their government wouldn’t help them if they got sick, so they would buy insurance policies from Unum instead . 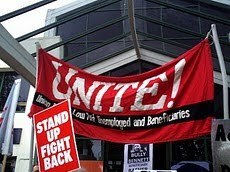 “Beneficiaries and workers, sick and well, need to Unite! 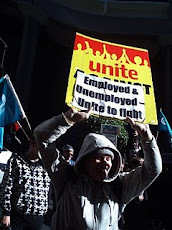 Issued by Janet Robin, President, Unite Waitemata.